It has been said that NTRPG Con is the place where deals are made and handshakes are exchanged. This year is no different - or maybe it is - I think that more handshakes have happened this year then the two years prior. Maybe I'm just better positioned to listen this year. In any case, I won't be leaking anything that isn't confirmed. How about this one? +Frank Mentzer will be Kickstarting a fantasy setting this summer. It looks to be a boxed set with maps by Darlene. Think Greyhawk with the overwhelming wargaming background. More politics but just as dangerous, Frank has been playing with this setting since the early days of TSR. Really excited about the Mentzer/Darlene campaign boxed set! Frank has said it is on the same world as Greyhawk per EGG. Correct - but I'm waiting to see how it is phrased in an official press release - or Frank himself does not that the KS is on the chart. There is a note from Gary to Frank stating such. I'd LOVE to have a pic of the letter to share here. What system is the Mentzer setting for? Definitely all in on the Aquaria KS. Actually the opposite. Greyhawk was a group of oft-warring smallish groups, presented in a quantum synergy of fantasy and wargaming, pushing the envelope. Mine is but one 'nation' with wilderness, a colony of the former, quite similar to many homespun campaigns. The set will resemble the 1980 boxed original in many ways, but also using updated components; I'm not going full retro. Perhaps one of the key features: Pick your era by your Magic comfort level. In the Colonial century, magic is ultra-rare. So is fancy arms & armor, and barbarians in the hills limit the inward expansion. The Middle century is the bullseye for most, your typical level of some-but-not-too-much magic. The final century is High form, where (frex) you can buy a triply-enchanted weapon if you have the cash, and the latest potions are on that rack, there. Probable: Easley, Otus, Dee, Diesel, more (still need to talk to Larry). Get the band back together one more time. ps: It won't have the name of my home campaign (Aquaria), which makes you think of a sea campaign. Isn't, never has been. So it'll be the unique capital city, then. 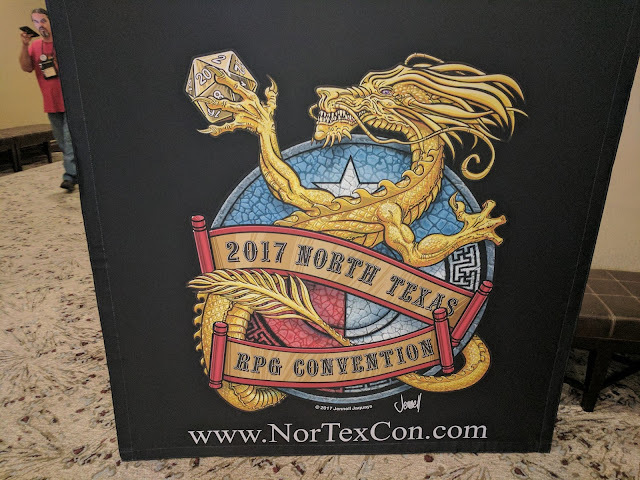 As to system, currently thinking OSR (B/X/mine) plus 5e in the print, and about 8 other common systems as free optional PDFs (crunch bits only, see page whatever). pls note tho that most settings need not be system-specific, and same here, so crunch is very little of the work. I was wondering about Tenkar's sentence, I think it was a typo.